Moroccan Half Cylinder Brass Wall Sconce from Badia Design Inc.
Hand-tooled with Traditional Moroccan Floral Patterns and Geometric Cutouts. A focal point for the entryways, rooms, bedrooms, bathrooms or empty corners. It adds a uniquely foreign touch to your home or office! Click Here to view our Wall Lighting Kit sold separately. Please note that our Moroccan lamps are imported into the US without electrical components because of the different wiring standards. You can self install or take it to any hardware store to install for you. 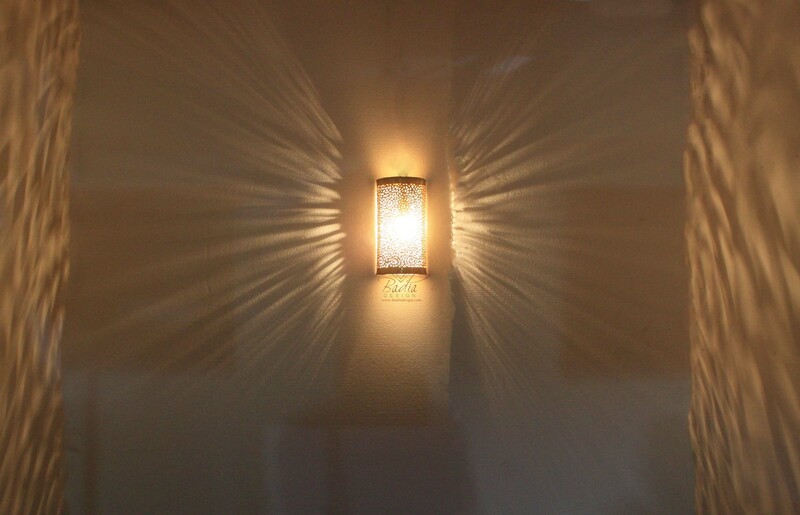 Click the button below to add the Half Cylinder Brass Wall Sconce - WL202 to your wish list.